Pearl EXX725 Export 5 Piece Drum Kit & Hardware – Red Wine. 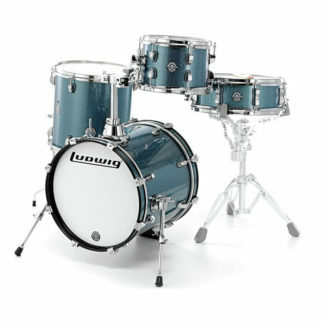 The Pearl Export kit is the best selling drumkit of all time. An absolute standard in student quality drums. The Pearl Export kit is the best selling drumkit of all time. An absolute standard in student quality drums, now better than ever taking its cue from Pearl’s award-winning Reference Series, the new Export puts sound first by blending premium Poplar and rich Asian Mahogany for an incredibly lush and full-bodied tone. The Pearl Export 22″ Fusion kit comes with 22″x18″ Bass Drum, 10″x7″ & 12″x8″ Toms, 14″x14″ Floor Tom wit a matching 14″x5.5 Snare Drum. 1 x H-830 Hi Hat Stand, 1 x S-830 Snare Stand, 1 x BC-830 Boom Stand, 1 x C-830 Straight Stand, 1 x P-930 Demonator Pedal. 1 x D-730S Drum Stool, 1 x 14″ HiHat Cymbals, 1 x 16″ Crash Cymbal, 1 x 20″ Ride Cymbal, 1 x 5A Wood Tip Drumsticks.